The new street off of Davidson Road is now open to traffic. 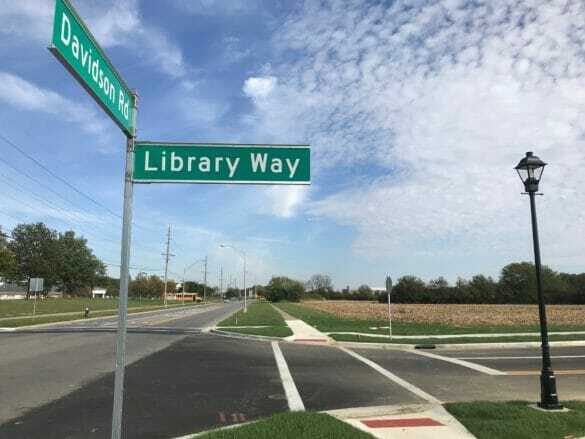 Library Way is located between Davidson Road and the new Columbus Metropolitan Library – Hilliard Branch, which opened in June. 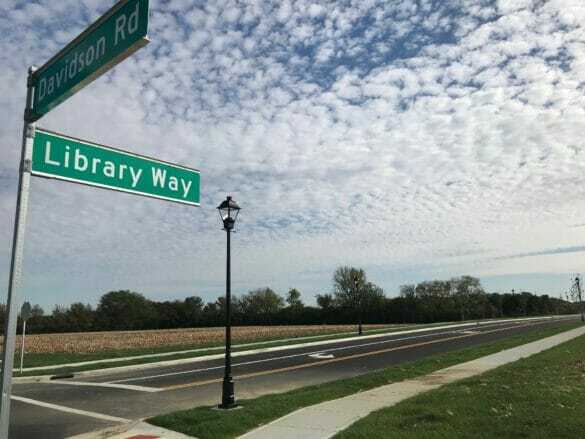 Complete with sidewalks and a pedestrian crossing that will soon have a flashing beacon, Library Way will provide direct access to the new library via Davidson Road. 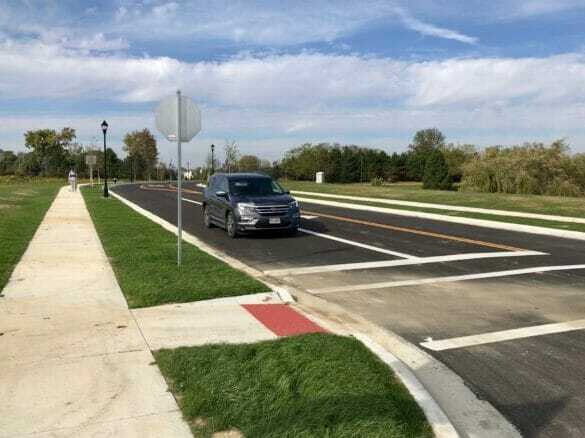 “We always strive to provide more connections to community facilities and Library Way provides a shorter, more direct route to the library for those traveling on Davidson Road,” said Clark Rousch, City Engineer.